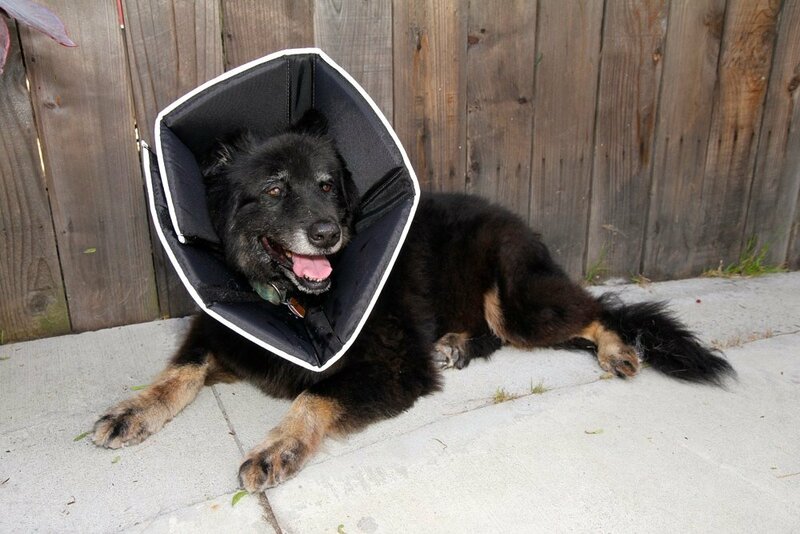 Welcome to our complete guide to the dog cone. 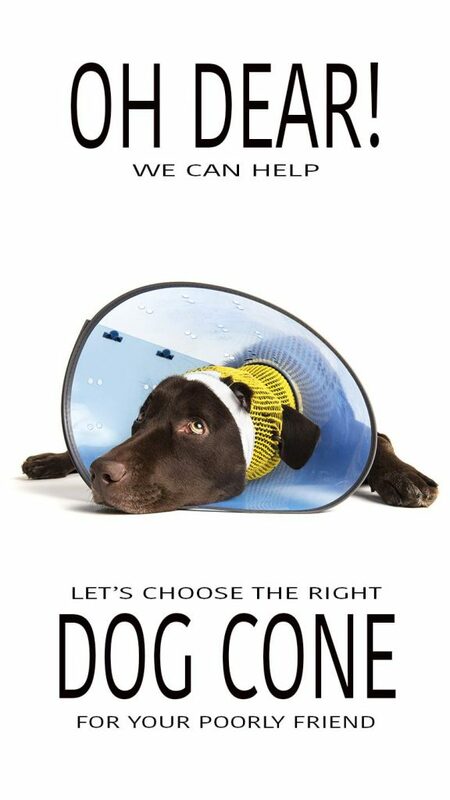 Helping you to identify when and why your Lab might need a cone, and helping you to pick the right product to keep him safe and comfortable. [wp_ad_camp_5]If someone suddenly popped a cone over the top of your head and fastened it around your neck, you probably wouldn’t like it very much, right? And you would more than likely generate a few snickers, chuckles or giggles from passersby (which you also wouldn’t like either). It looks so weird and funny, it is easy to assume your dog did something wrong and that wearing the cone is his punishment. Like a dunce hat! But your dog didn’t do anything wrong. He is just being a dog. Unlike humans, dogs don’t think anything of licking or scratching any part of their anatomy when something feels different or weird. The truth is, when something itches, hurts or simply feels not-right, a dog is going to investigate it no matter who is watching or what they may be thinking. Eyes, ears, tails, feet, skin, butts – no body part is off limits when your pooch is attempting to make the discomfort stop. The “shame” part more likely comes into play partly because the sight of any dog with cone in place naturally evokes our sympathy. Plus, there is the fact that our dogs usually aren’t very responsive to our pleas to “stop licking and biting that area already!” But your dog is a dog, not a person, so there is no shame in wearing the cone when he needs it to heal faster and better. He needs it to heal up right the first time so he can get back to playing and licking and jumping and running and enjoying life as a dog. And he needs it to heal without infection, secondary complications or further pain. 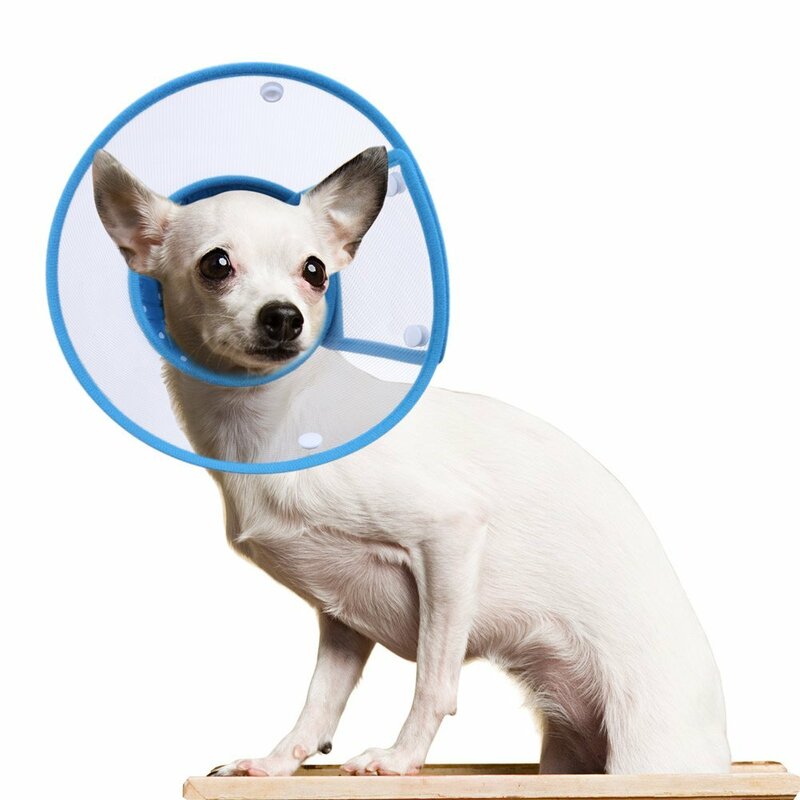 The key to making the dog cone work for you and your dog is to find the right dog neck cone that fits comfortably so your dog can heal as quickly as possible. Join me as we investigate different types of cones for dogs so you can find the right solution for your precious pup! What is a dog cone? The ancient Egyptians firmly believed dog saliva had healing powers for both dogs themselves and for people. They were so sure of this, they even erected “dog licking temples” where people with wounds could go to have those wounds licked by a dog. Suffice it to say no ancient Egyptian ever tried to be put a dog head cone on their canines. In today’s scientific circles, however, debate still tends to side with the dog cone when it comes to which heals faster and better: dog saliva or a dog cone. Simply put, a dog cone is an aid to healing that discourages contamination, infection or re-injury and facilitates the fastest possible return to good health for your pooch. Why do dogs need cones? [wp_ad_camp_1]It means no such thing to your average canine. In fact, domesticated dogs and cats are not the only animals that lick themselves to facilitate healing. Many animals in the wild, including rodents and primates, have been observed to lick their own irritated or wounded skin. There is even one 2008 scientific study that suggests human saliva has potent healing properties (you never know – there may be a “cone of shame” in our future here yet!). But in most cases, it is not the licking itself that is the problem. 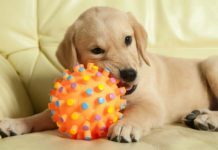 It is the amount of licking (and the impatience to feel better behind that licking) that can cause so many complications during healing for dogs. In other words, in your dog’s mind, if one lick is good, 100 licks is sure to be better. And from there, the trouble begins, which is why dogs so often need the help of a dog cone collar to heal. Veterinarians often prescribe a cone collar for dogs after they have had surgery. Not only is it naturally hard for your dog to resist licking at a wounded area due to curiosity or discomfort, but when you add in the effects of anesthesia and pain medications, your dog needs all the help she can get to resist re-injuring the wound site while she heals. Otherwise, it would be quite easy for your dog to pull out the stitches with her teeth and re-open the wound. Requiring another trip to the vet for more antiseptic and stitches. 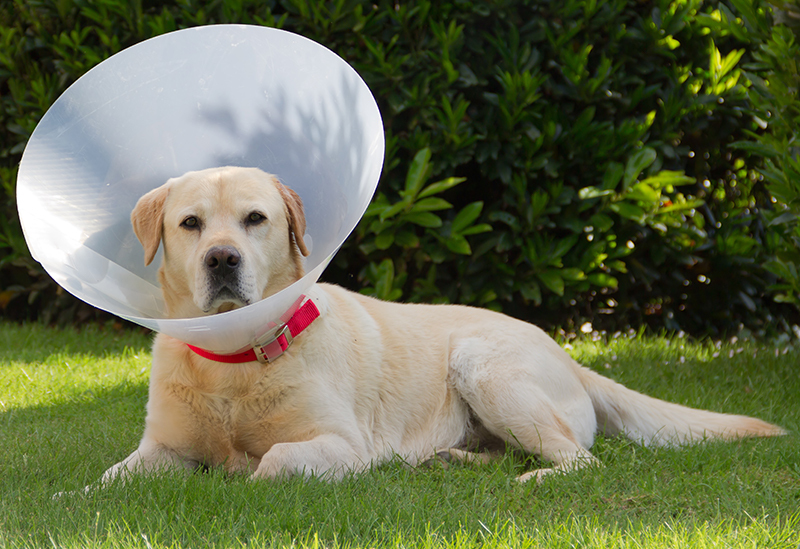 In fact, veterinarians state that failure to use a cone dog collar after surgery is perhaps the number one reason that dog owners have to bring their dogs back for further treatment. As an alternative to repeated return vet visits, using a dog cone temporarily after surgery is usually a very short-term fix to give the incision site time to heal. While it may not be the most attractive or comfy accessory, putting your dog in cone post-surgery is guaranteed to cause less discomfort to her than having to go back to the vet for more stitches and possibly antibiotics to deal with infection related to easily preventable self-trauma. So what is the best dog cone for your fur baby? The answer is: it really depends on your dog! Your dog’s neck width and length, age, size and temperament can all make certain dog cones more or less suitable choices. The good news is, the days when the traditional hard plastic Elizabethan collar represented your only choice of cone dog collar are long gone. Today, finding an alternative to traditional cone for dog styles is really limited only by your creativity and imagination (diy dog cone, anyone?). Take a look at some of these fabulous alternative dog cone collars as you consider which might be the best and most comforting choice for your recuperating pooch. You definitely want your furry best friend to be as comfy as possible while recovering from surgery or an injury. Here, a “comfy cone for dogs” as an alternative to dog cone hard plastic styles sounds just perfect, right? Here are two great examples of a comfy cone for dogs that dog owners rate a solid 4-stars. This comfy cone made by All Four Paws comes in eight sizes and two colors. 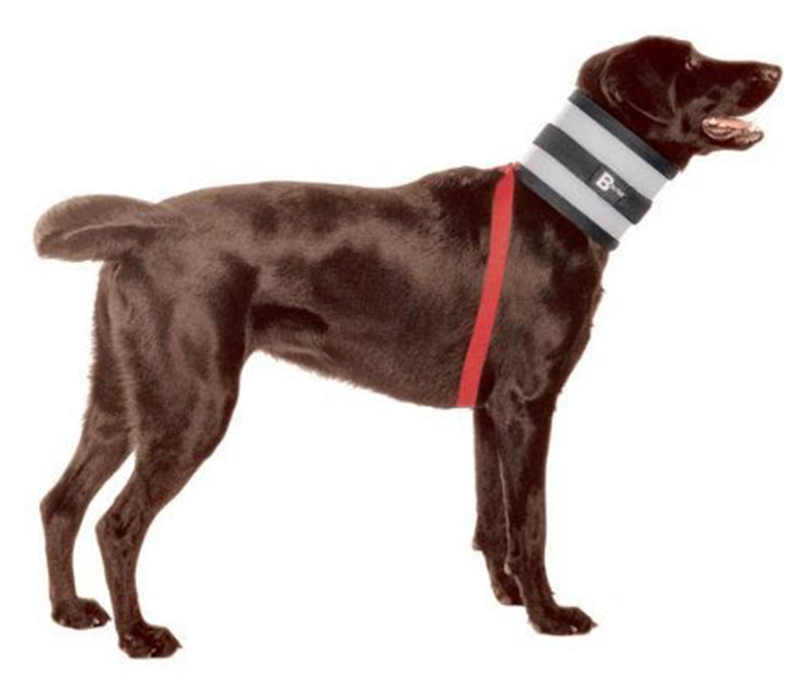 The collar itself is flexible to help your dog pass through doorways without displacing the cone or preventing entry. The collar also works with your dog’s regular collar so you don’t have to choose one or the other. It is water resistant, reflective for outdoor safety, bi-directional, easy to clean, easy to use and comes with vet endorsements. Buy your All Four Paws Collar here. Alfie Pet makes a number of soft plush adjustable (Velcro) recovery collars that are very highly rated by dog owners and come in a variety of sizes and colors. Depending on the style you order, sizes range from XS to XL. The collars are easy to clean, lightweight and won’t interfere with eating and drinking. 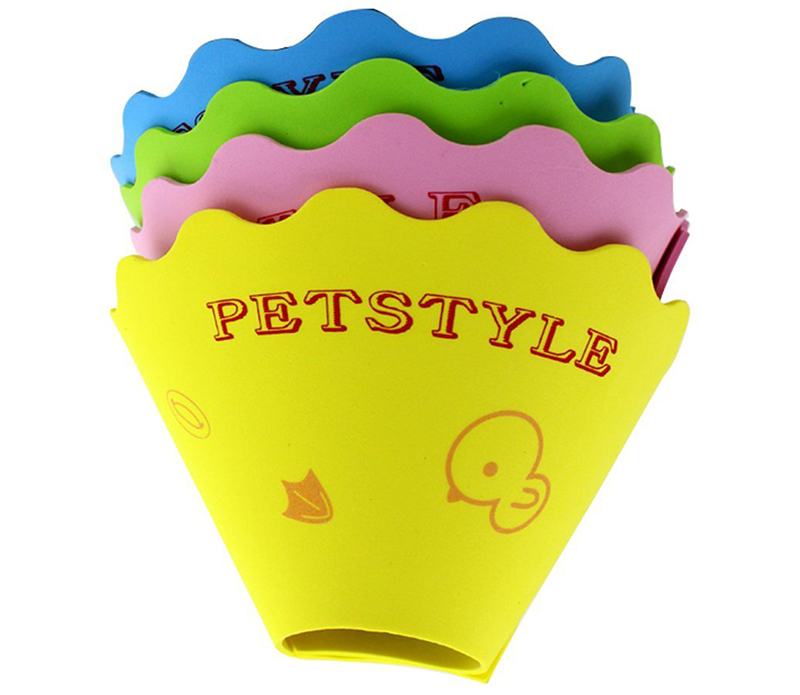 Buy your Alfie Pet Dog Cone here. If your dog regularly chews through any new plush toy you give him in the time it takes you to say, “Here, boy!,” a plush cone collar may not be the best choice. But you still want something soft that won’t cut into his skin or make movement difficult or frustrating during his recovery time. Here, a soft dog cone is probably exactly what you are looking for. And you don’t have to look any further than these two excellent representative samples, both of which come highly recommended by dog owners. 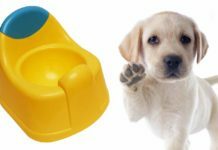 The Kong EZ soft e-collar is a great choice for smaller dogs or Labrador puppies (hey, 664 pet parents can’t be wrong!). The soft and pliable fabric comes with an adjustable drawstring closure to fit different neck sizes. 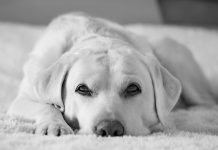 Best of all, your dog can lay his head down when he needs a rest and the material will conform to his position without any discomfort. Buy your Kong EZ Soft E-Collar here. The Vvhome Elizabeth Soft Foam Protective Collar offers the best of all worlds. It is lightly padded, yet not so much so that the padding becomes a barrier (or a possible chew toy). Sizing is XS, S, M, L and you can choose from blue, green, pink or yellow colors. Buy yourVvhome Elizabeth Soft Foam Protective Collar here. When you board a plane, how likely are you to want to catch a quick snooze en route? 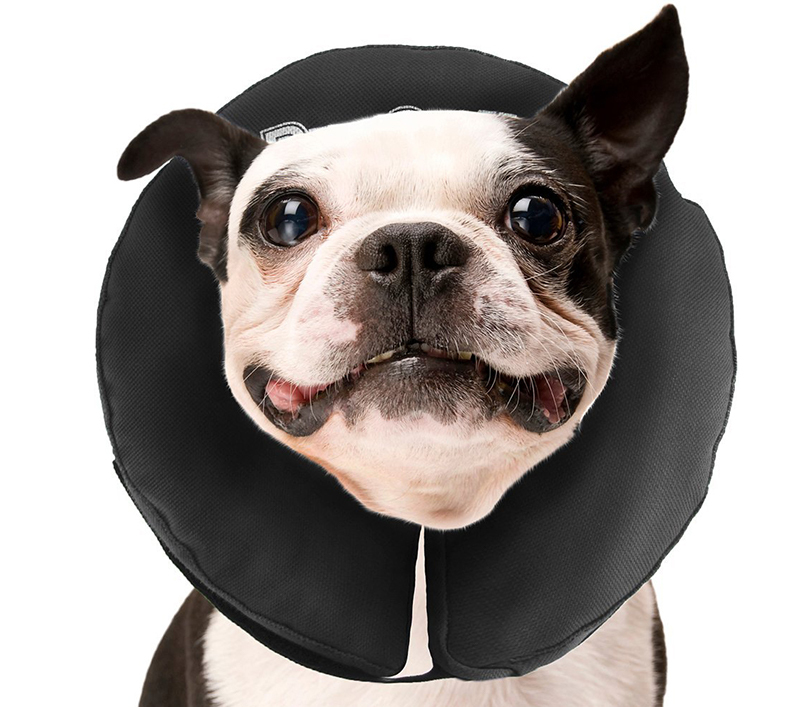 This probably explains the popularity of the “travel neck pillow,” a contraption that is soft and round like a pillow but curved to fit the shape of your neck. With an inflatable dog cone, you can offer your pooch the same cozy comfort while she is recuperating. You can inflate the dog cone a lot or a little depending on the width and length of your dog’s neck and her sleeping patterns. These collars make it easy for your dog to rest in total comfort while she is healing. The ZenPet ProCollar Pet E-Collar comes in six sizes and basic black. This blow up dog cone comes with 12 years of veterinary testing and use behind it plus a 4-star rating from dog owners. It is easy to inflate and use and the durable canvas is chew-resistant. 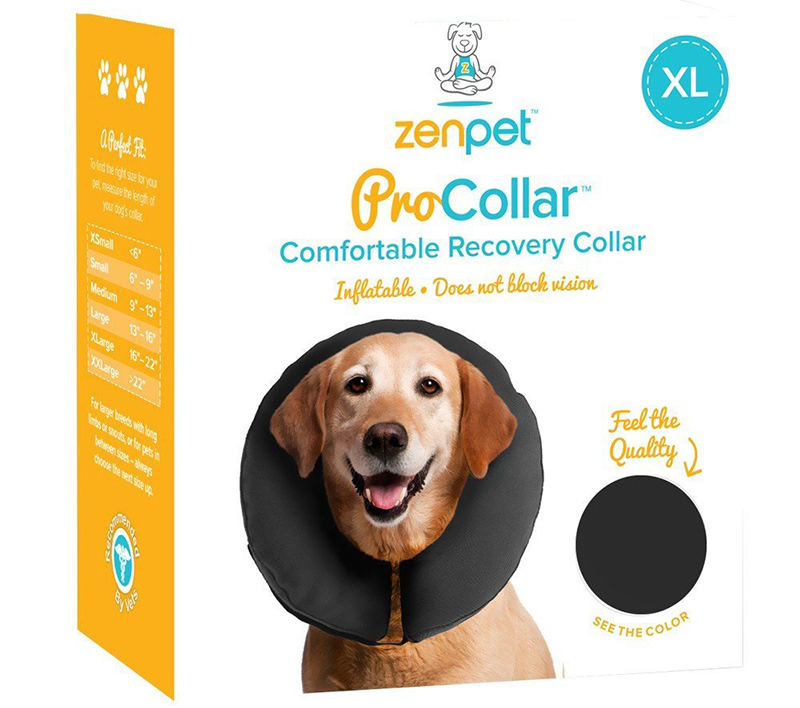 Buy yourZenPet ProCollar Pet E-Collar here. The Kong Cloud E-Collar comes in five sizes in bright navy blue. The slightly shorter height makes it easier for your dog to see to avoid obstacles and frustration while moving around. 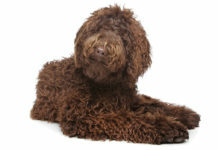 The sizing chart makes it easy to match the size to your dog’s needs. The E-collar is washable, bite and chew resistant and won’t scratch furniture. Buy your Kong Cloud Dog Cone here. Sometimes, no matter what other alternatives you try, it seems like your dog is a master destroyer who always finds a way out of any other dog cone you try. 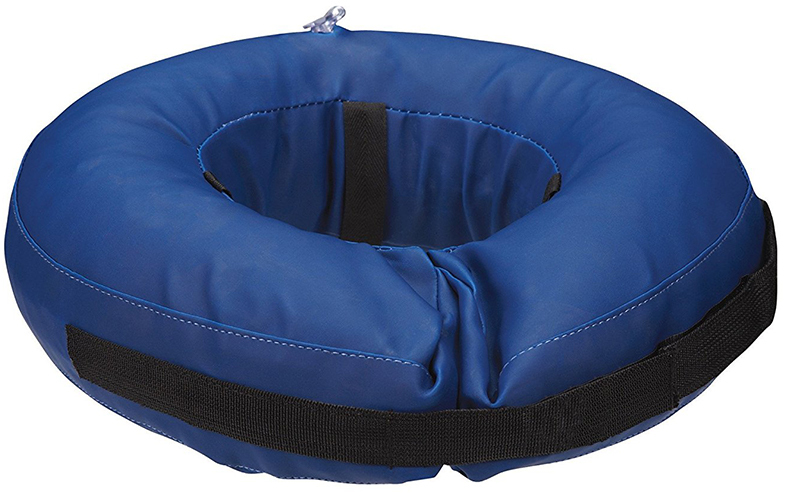 Fabric, padded, inflatable, donut….they are all toast in your dog’s determined jaws. But the traditional plastic Elizabethan collar still remains the master of even the most determined canines, which is why, in some cases, it will always remain the go-to protective choice while your dog is healing. The In Hand Clear Padded Recovery Collar comes in four sizes (XS, Small, Medium, Large) and two colors (pink, blue). The plastic parts are light in weight and transparent to aid in movement. The cone dimensions make this plastic dog cone an ergonomic and comfort-centric choice. Buy your In Hand Clear Padded Recovery Collar here. The PetBABA Clear Padded Recovery Collar is a particularly good choice if you have a young puppy that needs some protection after an injury or surgery. It comes in small and medium sizes and two colors (blue, rose) and offers a 90-day full warranty. Buy your PetBABA Clear Padded Recovery Collar here. It can be hard to warm up to the idea of putting a big hard plastic collar around your dog’s neck, even if it is only for a few days. But what if that collar were made of soft yet durable fabric instead? This seems more workable somehow – and in truth, it can be more comforting and cozy than plastic. Having said that, you might want to try one of these two highly rated collars on for size with your pup! The Vet One ElizaSoft Recovery Collar is a soft fabric e-collar that uses a drawstring closure for a fully adjustable fit. 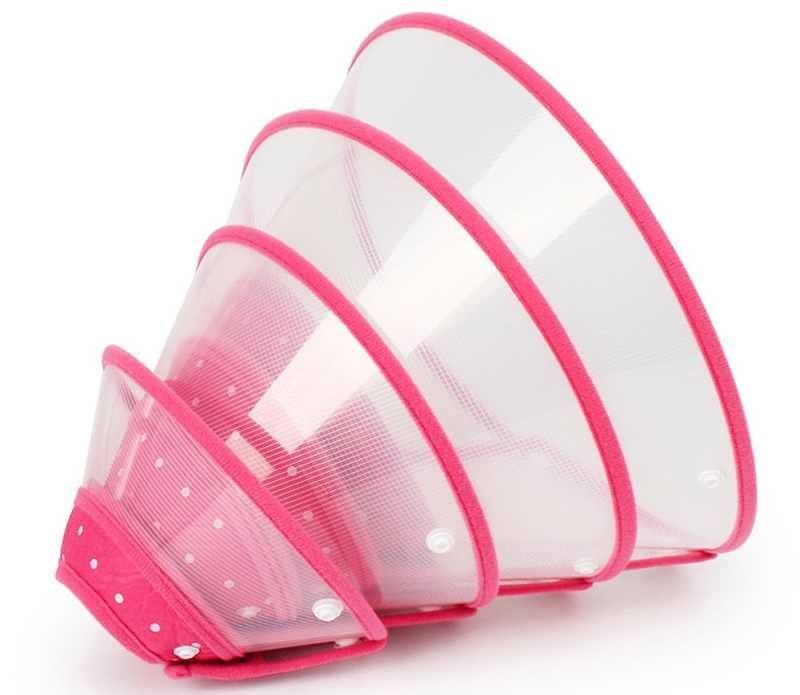 It comes in a variety of sizes in a navy blue with pink edging. The collar offers protection without restriction of movement or discomfort while eating, drinking or resting. 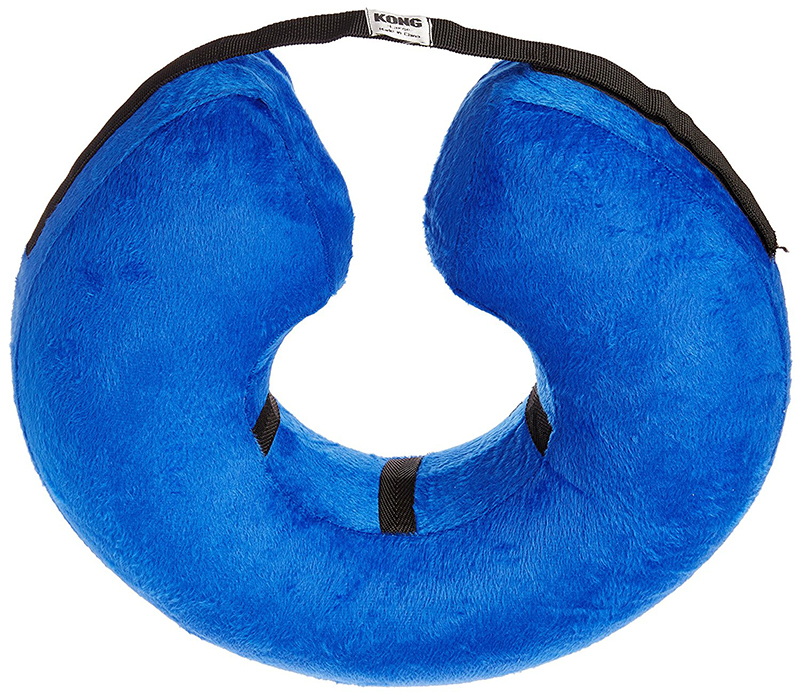 Buy yourVet One ElizaSoft Recovery Collar here. 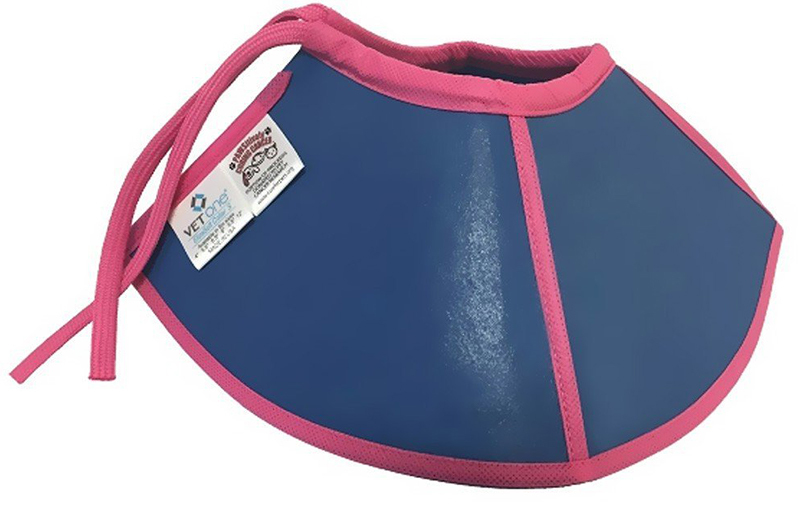 The KVP EZ Soft Pet Cloth Recovery Collar offers a unique Lycra-based cinch-toggle style closure to conform to your dog’s neck size. It comes in five neck sizes and a soft yet resistant fabric that repels chewing or tearing. You can also easily machine-wash and reuse this collar. Buy your KVP EZ Soft Pet Cloth Recovery Collar here. Similar to an inflatable dog cone, a dog donut cone gives your dog increased range of vision and movement without the risk that he will do himself a harm by gaining access to the wound or incision site during recovery. As a side benefit to you, seeing your dog wearing a donut cone can also be less stressful than seeing your dog wearing the so-called “cone of shame” for the period prescribed during recovery. Here are two possible donut cone options you may want to consider. 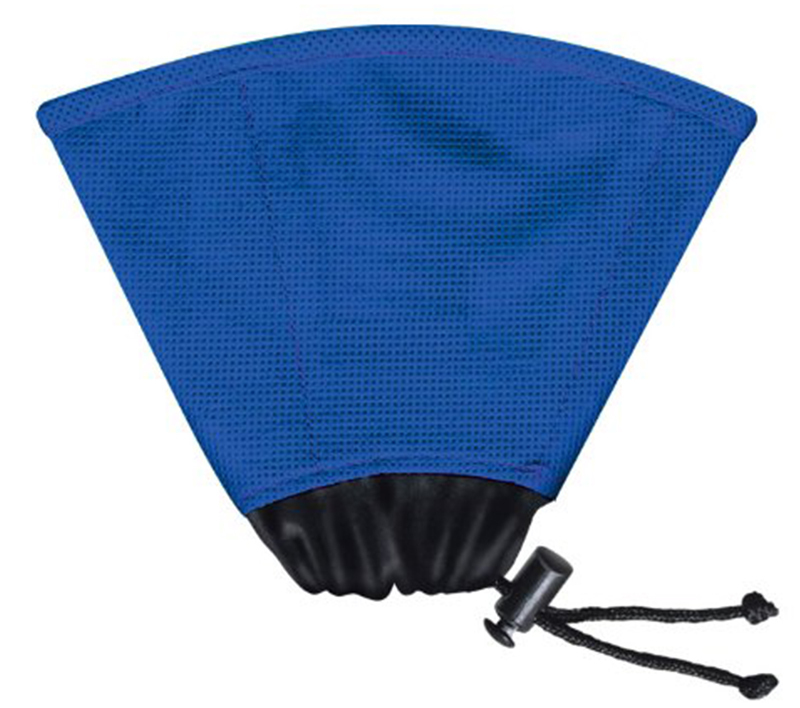 The ConTech Protective Collar for dogs comes in four sizes in a soft textured navy blue fabric. This donut cone will keep your dog’s range of vision clear for non-frustrating eating, drinking, resting and movement and is lightweight and breathable to avoid sweating. You can machine wash this collar for easy re-use. Buy your ConTech Protective Collar here. 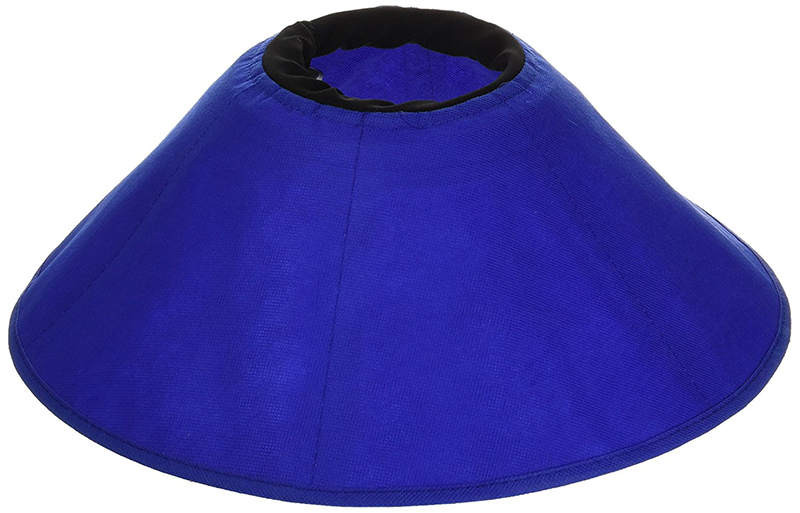 The Total Pet Health Inflatable veterinarian-approved dog collar donut cone comes in five sizes in a bright navy blue. The donut material is bite-resistant and washable and is designed to protect your dog from attempts to bite, scratch or lick wounds. Buy your Total Pet Health Inflatable dog cone here. Sometimes, no matter what type of dog cone you try, your dog just doesn’t seem to be able to tolerate it. In the past, this likely meant some hard times for both you and your pooch. But today, with newer dog cone alternatives that have been developed and tested, you can find other creative options that might work better for you both. The After Surgery Wear E-Collar Alternative comes in a stunning array of nine sizes and is recommended by vets. You can choose from seven colors (teal green, lime green, navy blue, yellow, burgundy, pink and orange). This E-collar alternative is more like a recovery suit that helps your dog resist the temptation to chew or lick at wounds. 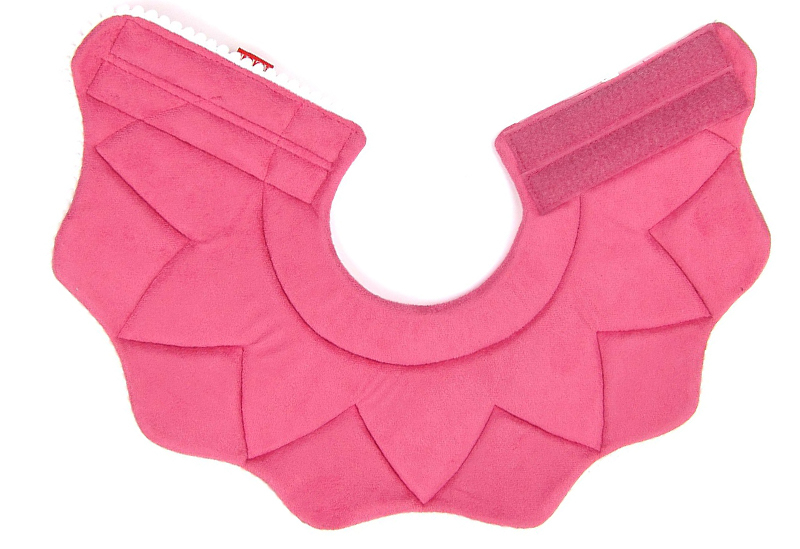 It is made of breathable hypoallergenic, reusable cotton and includes a discharge pad for absorbing any wound leakage. Buy yourAfter Surgery Wear E-Collar Alternative Cone here. The BiteNot Collar is another popular alternative to the traditional Elizabethan collar. Its length ensures your dog won’t be able to position himself to lick or bite at torso or leg wounds (please note: it won’t be suitable if the injury is to eyes or ears). You can use the sizing chart to pick the right size. Buy your BiteNot Collar here. Even better, learning how to make a dog cone is easier than it might sound. This great tutorial from Dogsaholic can teach you how to make a traditional plastic Elizabethan dog cone collar. A cardboard or poster board dog cone collar, a paper plate dog cone collar, a neck pillow cone collar, a soft neck restrictor collar and a towel soft collar. This comprehensive tutorial will give you more than sufficient options to find an easy DIY dog cone project that works for both you and your pup. 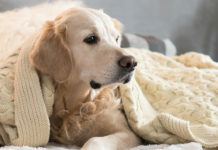 You may even want to make more than one type and switch them out so your dog has some options for active and rest times to reduce frustration during healing. 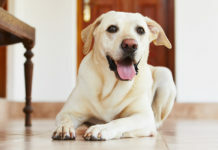 In most cases, your dog may only have to wear a cone collar or your alternative of choice for four or five days. Sometimes it may be longer – from 7 to 14 days – after a surgery until the sutures can be removed. While it is an undisputable fact that any length of time may seem like an eternity when you are cohabitating with an irritable, healing dog who has a cone on her neck, we promise it will all feel worth it when your pooch emerges healthy and fully healed to run, play, jump, beg and sleep contentedly (and pain-free!) at your side once more. Raison, C., DVM, “Dog Saliva: Healthy or Harmful?,” Vet Organics, 2016. Oudhoff, M.J., et al, “Histatins are the major wound-closure stimulating factors in human saliva as identified in a cell culture assay,” The FASEB Journal, 2008. Lichtenberg, D., DVM, “How to Protect Your Pet’s Incision After Surgery,” Petful, 2015. Our male English Shepherd licked like CRAZY after neutering and we ended up making a cone (out of a large plastic cat litter jug–talk about humiliation!) because it was the middle of the night on a weekend. He hated it it but it worked! When our Lab mix was spayed we got a cone from the vet just in case. We used it once–she chewed it up and got it off–except for the part that actually went around her neck. (To be fair, she will chew ANYTHING which is why she’ll probably be in a crate when unsupervised FOREVER!) She didn’t lick her incision very much, though, so we didn’t bother replacing it. I may look into the alternatives given but so far we haven’t had any other injuries/surgeries. Hope it stays that way, too!